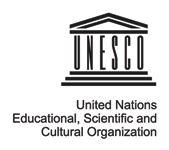 The United Nations Postal Administration (UNPA) will issue new postage stamps and a souvenir card to celebrate International Jazz Day on 30 April 2014. The stamps, featuring three mini-sheets of twelve stamps were designed by Sergio Baradat (United Nations). Jazz is a unique American musical art form that originated at the beginning of the 20th century. It is rooted in African traditions, draws from European musical forms, and has evolved into various styles across the globe. For over a century, Jazz has united people of different cultures, religions, and nationalities. It serves as a universal language and highlights the musical genre’s role as a powerful communication tool for peace, dialogue and cooperation. In 2011 the United Nations Educational, Scientific and Cultural Organization (UNESCO) proclaimed 30 April as “International Jazz Day”. 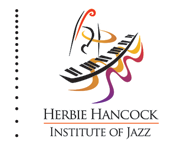 Each year, this international day brings together communities, schools, artists, historians, academics, and jazz enthusiasts all over the world to celebrate and learn about the art of jazz, its roots, its future and its impact. This international art form is recognized for promoting peace, dialogue among cultures, diversity, respect for human rights and human dignity, eradicating discrimination, promoting freedom of expression, fostering gender equality, and reinforcing the role of youth for social change. “This was a wonderful project to work on. I approached it as a multi-faceted piece of art where each stamp is a collage onto itself, in tandem with the other pieces to create one large composition. I was inspired by the abstraction that is Jazz; I wanted to give the designs atmosphere and a sense of sound through colour. Along the way, I listened to old favourites: Chet Baker, Billie Holiday, Nina Simone, Duke Ellington and a host of others from the 1920’s through 1950’s”. International Jazz Day events, which are organized by UNESCO and the Thelonious Monk Institute of Jazz, highlight the historic influence that the genre has had in connecting people and igniting social change. Osaka, Japan has been selected to serve as the 2014 Global Host City. Concerts, conferences and discussions about jazz and its principles will be ongoing throughout the day across the globe, as well as local community events, such as schools, clubs, town squares and village centres. For more information about International Jazz Day, please visit www.jazzday.com or www.unesco.org/jazzday. The stamps, issued in US dollars, Swiss francs and Euros are sold at United Nations stamp shops in New York, Geneva and Vienna. 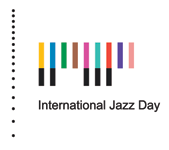 For information about purchasing International Jazz Day stamps and other products available through UNPA, please visit www.unstamps.org.